Before jumping into the configuring your resources, here's a quick primer on how the tab grids work. If you use Basecamp, you should not add users or resources or users in Roadmap. Instead, Roadmap imports people from Basecamp. Learn more. Click the "+" in the upper-right corner to add a user (can login) or a resource (cannot login). Learn more. Users can log into Roadmap, whereas resources cannot log into Roadmap. Email addresses for resources is optional, yet required if you plan to use email notifications. Go to the Resource 360 page and click the gear icon. Skill column. Example of a resource attribute. 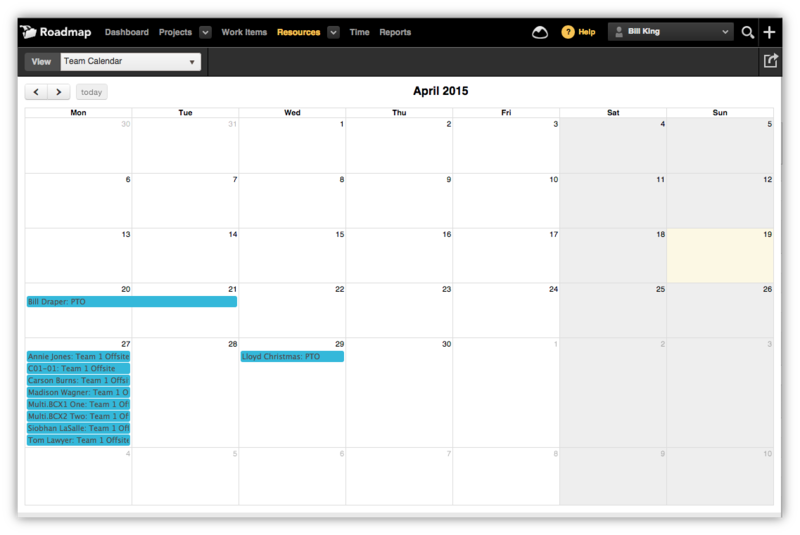 Team Calendar events are used to block off future days for individual resources or your entire organization. 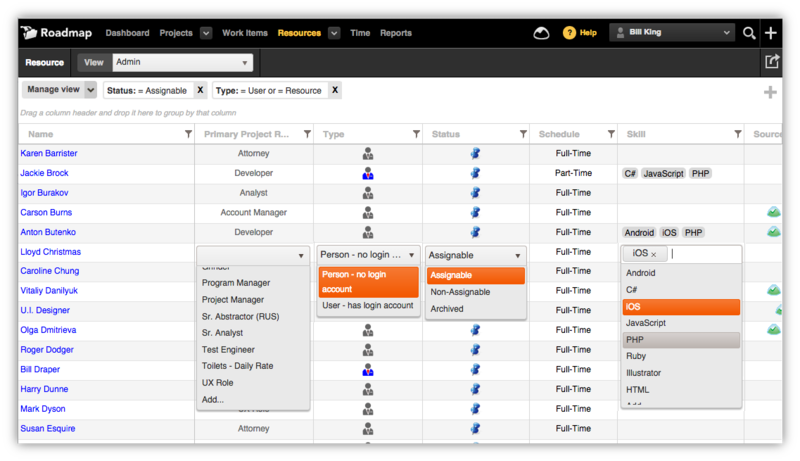 Adding an event on top of existing assignments will push out that assignments by an equal number of days.